Lab clearance and WEEE recycling by dreamscience Lab! Click on these helpful links for more information on how dreamscience can turn your surplus or unwanted laboratory equipment into £££'s! 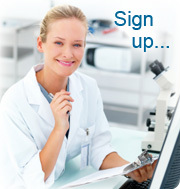 dreamscience Lab is your number one choice for new or used laboratory equipment. Established 1999, dreamscience Lab buy and sell laboratory and medical equipment and deliver worldwide. At dreamscience lab, we’ve compiled several guides on how to sell laboratory and medical equipment and how to buy laboratory and medical equipment. We have help guides on the benefits and pitfalls of online auctions, new and used equipment sites and what to look for when purchasing both locally and internationally. To help the laboratory and medical community, dreamscience lab run a free online market place where scientists can list, buy and sell laboratory and medical equipment and contact each other. 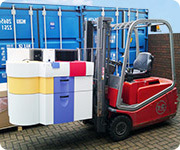 This helps keep prices low and allows equipment to be recycled, resulting in less waste. We also have “how to” guides on WEEE Waste Electrical and Electronic Equipment and recycling. Relocating or downsizing your lab, dental practice, vets, hospital…? dreamscience offer asset valuation, asset sales and disposal services, where we pay you for your surplus laboratory or medical equipment. Please contact us via telephone on +44 (0)1782 409682 or email enquiries@dreamscience.co.uk. You must be logged in to trade on our website, registration is FREE and there are NO CHARGES to list your items once you're a member! Enter your keyword and you'll get results from all our buying channels. So you can compare prices from our marketplace with buying new, and you can also keep up with any bargains in our auctions. You can sort the results in a number of ways so this powerful feature is sure to help you find what you're looking for quickly. How to buy new and used lab equipment and SAVE! Turn unwanted lab equipment into £££'s! dreamscience Lab offer a full laboratory and medical equipment clearance service from start to finish.